The Castle of the Conti Guidi family is one of Tuscany’s most significant works of medieval architecture and tourist attractions. 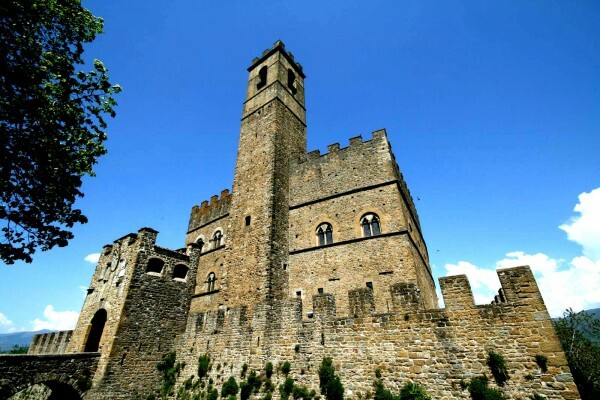 The Castle stands in a dominant position atop the little medieval town of Poppi, in the province of Arezzo, which is included in the list of “The most beautiful villages in Italy”. You can visit the whole castle, from the ancient prisons to the bell tower. Access to the castle passes through its walls topped with Guelph crenelations by way of the Lion Gate, built in 1477. 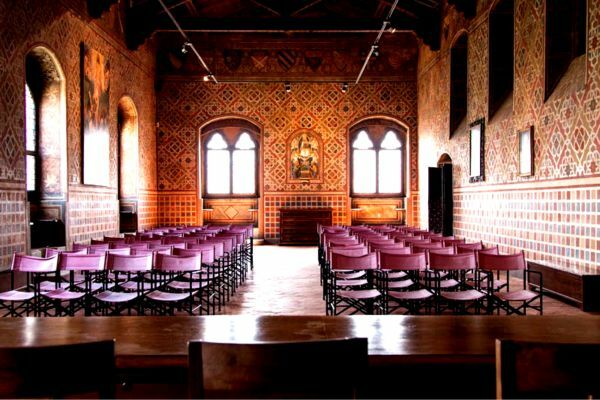 The evocative inner courtyard is dominated by a large fifteenth-century staircase, wooden balconies with remains of priceless original ceilings and an imposing off-centre column supporting the roof, while numerous coats of arms decorate the walls. Ceremonies possible Mon to Fri 9:30am to 1pm. Weddings on extra time or weekends can be celebrated on request.